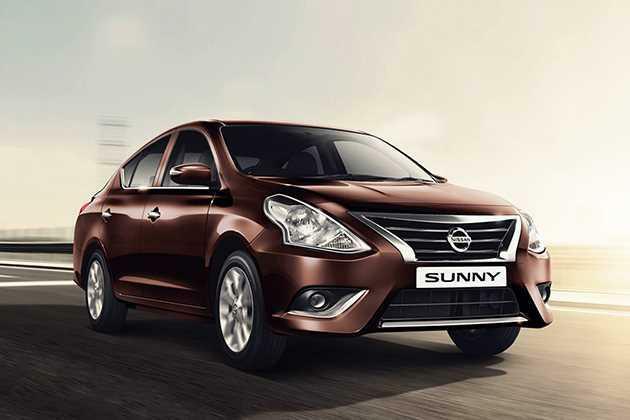 Nissan India has finally launched the latest version of its much awaited sedan, Sunny in the Indian car market. It is available in both petrol and diesel engine options for the buyers to choose from. It comes with the same 1.5-litre diesel motor that has a displacement capacity of 1461cc. This SOHC based power plant can churn out a maximum power of 84.8bhp along with a torque output of 200Nm. With the help of a five speed manual transmission gear box, this engine allows the sedan to achieve a top speed of 175 Kmph. At the same time, it can cross the speed barrier of 100 Kmph in close to 15.8 seconds from a standstill. This Nissan Sunny Diesel XL is bestowed with an advanced braking mechanism, which is further enhanced by ABS along with EBD and a brake assist function as well. This 2014 version comes with a few exterior modifications, which includes a revamped radiator grille, bumper and slightly bigger headlamps, which makes it look more appealing. On the other hand, the interiors also get some cosmetic updates like a newly designed center console with piano black trim, music system with USB interface and a few other aspects. Its overall length is 4455mm along with a total width of 1695mm and a decent height of 1515mm. It has a large wheelbase of 2600mm, which offers a spacious cabin inside. The fuel tank capacity is 41 litres and it comes with a spacious 490 litre boot compartment as well. The frontage of this newly launched sedan is quite impressive with a revamped radiator grille, which has a lot of chrome treatment and a prominent company insignia in the center. The slightly bigger headlight cluster is powered by halogen lamps and turn indicator. The body colored bumper has a wide air dam for cooling the engine and it is flanked by a pair of fog lamps, which adds to the visibility. The large windscreen is made of tinted glass and is integrated with a set of intermittent wipers. Its side profile is neatly carved and fitted with body colored door handles and outside rear view mirrors, which are electrically adjustable. The flared up wheel arches are equipped with a set of 14 inch steel wheels, which are covered full wheel covers. These steel rims are fitted with 185/70 R14 sized tubeless radial tyres. On the other hand, the rear end comes fitted with a tail light cluster, which has turn indicator and reverse light. Apart from these, it has an expressive boot lid and a body colored bumper that gives it an elegant look. The windshield comes with a defogger and a centrally located high mounted brake light. This Nissan Sunny Diesel XL is the mid range variant in its model lineup, which comes with updated interiors and sophisticated features. In terms of seating, the company has incorporated it with comfy seats, which are covered with fabric upholstery and provide ample leg space for all passengers. The dual tone dashboard is incorporated with a spacious glove box, instrumental cluster with a few functions, AC vents and a drive computer. It has a 12V accessory socket for charging gadgets, all four power windows with driver side auto down function, cup and bottle holders, remote trunk and fuel lid opener, boot compartment light, sun visors with passenger side vanity mirror, adjustable headrests, rear parcel shelf, power steering and other utility based features. The advanced instrument panel houses a tachometer, an electronic tripmeter, door ajar warning, a digital clock, low fuel warning light and driver seat belt notification. Under the bonnet, this variant is packed with a 1.5-litre, K9K diesel power plant, which has the displacement capacity of 1461cc. This SOHC engine is integrated with 4-cylinders and 8-valves. It is incorporated with a common rail based direct injection fuel supply system, which can generate a healthy fuel economy. It allows the sedan to produce 22.71 Kmpl of decent mileage, when driven under standard conditions. This engine can churn out a maximum power output of 84.8bhp at 3750pm in combination with a peak torque output of 200Nm at 2000rpm. It is coupled with a five speed manual transmission gear box, which transmits the engine power to its front wheels. This sedan is equipped with an efficient braking mechanism, which is further enhanced by ABS along with electronic brake force distribution. The front wheels are fitted with a set of ventilated disc brakes, while the rear gets drum brakes. On the other hand, the front and rear axle is assembled with a McPherson strut and torsion bar type of mechanism. It is blessed with an electronic power assisted steering wheel, which is tilt adjustable and makes handling easier. This steering wheel supports a minimum turning radius of 5.3 meters. The car manufacturer has incorporated this mid range variant quite a few sophisticated features. The list include follow me home headlamps, trunk and map light, driver seat with height adjustable function, a 12V power socket, all four power windows with driver side auto down function and many other such aspects as well. The automatic air conditioning system comes with air filter. Then for in-car entertainment, it is blessed with an integrated music system, which houses USB interface, Aux-in port, CD/MP3 player and radio (AM/FM tuner) along with four speakers. This Nissan Sunny Diesel XL variant comes with a lot of protective aspects, which gives the occupants a stress free driving experience. The list includes an engine immobilizer, driver airbag, door ajar warning notification on instrument panel, anti theft device with alarm, speed sensing auto door locks, seat belt for all passengers and keyless entry. Apart from these, it also has ABS along with electronic brake force distribution and brake assist function, central door locking system and a centrally located high mounted brake light. 1. Roomy cabin with advanced safety and comfort aspects. 2. Spacious boot compartment is a plus point. 1. Lesser ground clearance is a big disadvantage. 2. Engine noise and vibration can be reduced.